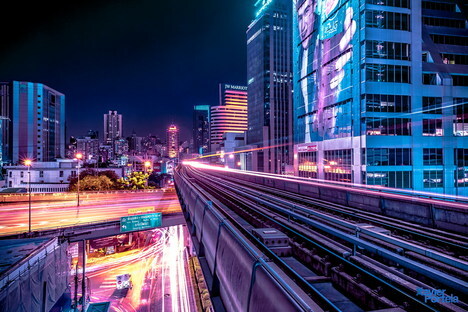 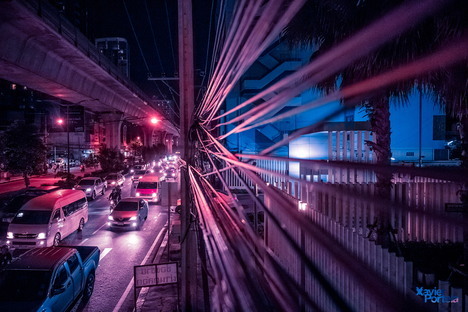 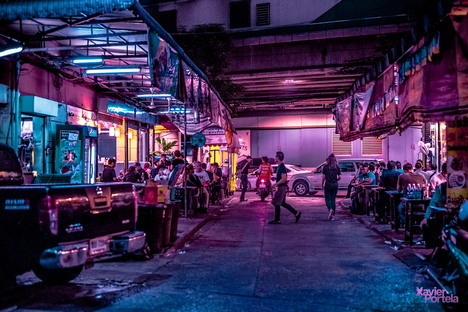 Xavier Portela, the Belgian-Portuguese photographer who combines his photography with a special post-production technique this time takes us to the streets of Bangkok in Thailand. 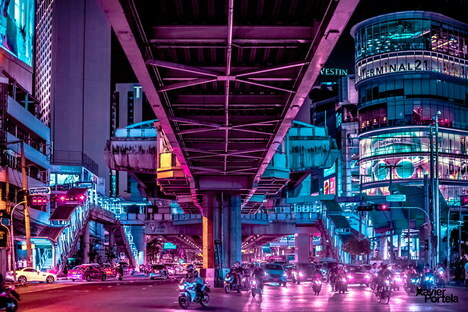 Pink-drenched splendour in his dynamic pictures of urban life. 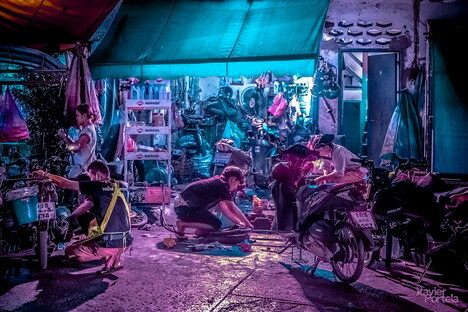 After the exhibition of his photography series called Glow (link) at the Inkut Lab gallery in Brussels, Xavier Portela headed back to South East Asia in November 2016, his destination this time around being Bangkok. 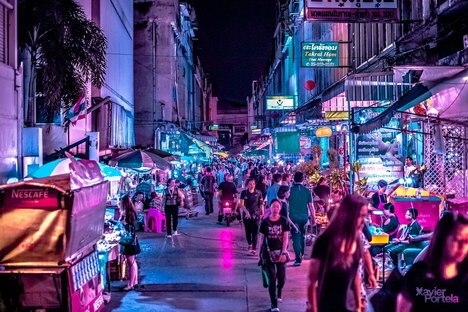 As is his wont, the first thing Portela did was to explore on foot the Thai metropolis with its roughly 10 million people to get a clearer grasp of the place and a better feel for the atmosphere there. 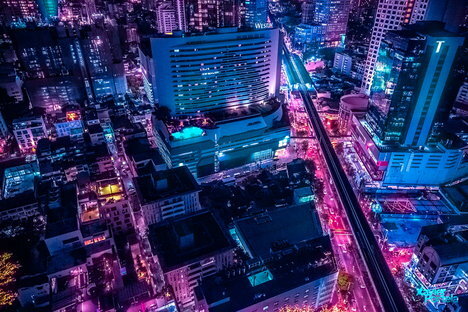 He immediately concluded that the city would be a perfect addition to his “glow collection”. 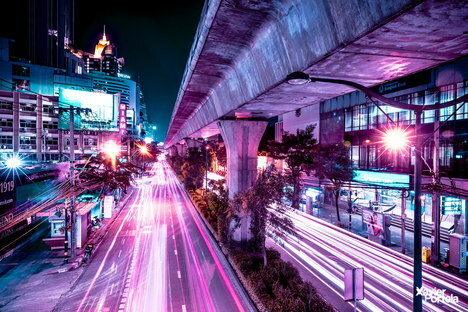 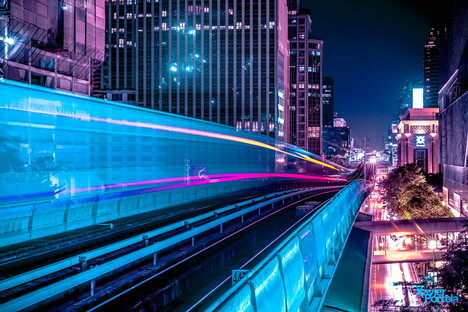 This awareness enabled him to select the best subjects in the packed urban fabric for his trademark post-production method that gives these photos their pink hue. 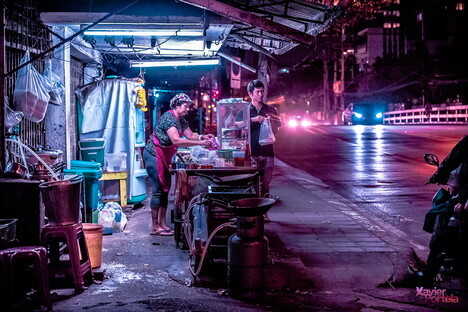 So, Portela takes us around Bangkok at night, along wide roads and railway tracks to streets with the ubiquitous tuk-tuks through to scenes that are more inspired by street photography: people who populate the urban environment, from passers-by to shopkeepers to street food stands. 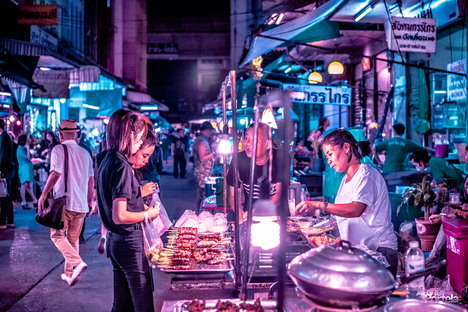 In this case, Portela's photos also give us a valuable testimony to the situation of street food in Bangkok before Spring 2017, when the local government manifested its desire to regulate street food sales, particularly in the Khao San and Yaowarat districts, by implementing hygienic measures and organising traffic flow in those areas. 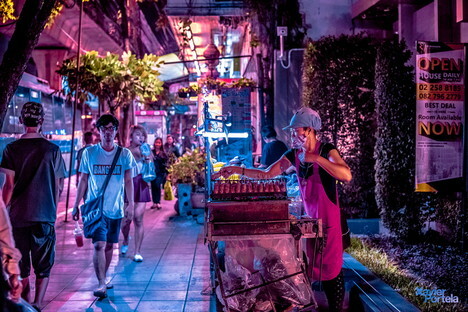 digital post-production to share with us the dynamic atmosphere of Bangkok and its people, capturing and accentuating its spirit with pink-drenched splendour.